Lots of hands-on activities for baby: peek-a-boo slider, door that opens & closes, bat-at roller, spinning gears and more! Baby's rewarded with fun mechanical sounds for their actions! Baby's ready to branch out to a whole treehouse full of fun mechanical soundsand busy activities that give fine motor skills a playful workout! 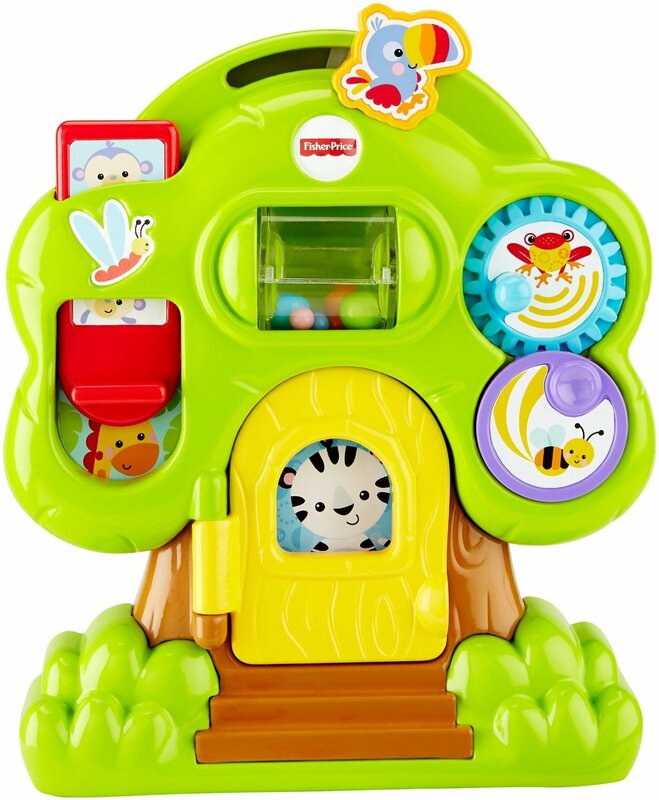 There aredoors for baby to open, peek-a-boo friends to discover, rollers to bat at withcolorful beads inside, gears to turn, birds to click and much more! Introducebaby to their new best friends with the Fisher-Price Animal Friends DiscoveryTreehouse.